New York health officials will soon expand access to medical cannabis, though legalized recreational use remains unchanged. 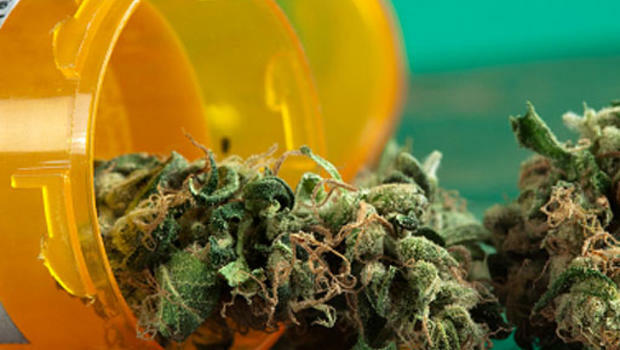 New York health officials announced that the state will soon expand access to medical cannabis, though the state remains a long way away from legalizing the substance for recreational use. The New York State Department of Health announced on Thursday that it would add chronic pain to the list of conditions that qualifies for medical cannabis. There are currently ten diseases for which patients may already qualify to receive the substance, including HIV/AIDS, Parkinson’s disease, cancer, and others. Medical marijuana is already helping thousands of patients across New York State, and adding chronic pain as a qualifying condition will help more patients and further strengthen the program. Despite the expansion, the Empire State retains amongst the most strict laws in the nation when it comes to medical cannabis. Cannabis products produced, for example, must only be made available in non-smokable form. Five medical cannabis companies are currently allowed to operate in New York state. The list includes Vireo Health, Etain Health, Columbia Care NY, Bloomfield Industries Inc., and PharmaCann. Despite the progress being made on medical cannabis, it may be a while before New Yorkers are able to see fully legalized recreational cannabis. The way in which the New York political system operates – including the fact that New York does not allow for voter-driven ballot initiatives – presents major roadblocks to activists looking to legalize recreational cannabis in the state. The obstacles for New York state come as several nearby states – including Massachusetts and Maine – legalized recreational cannabis on Election Day 2016. Activists hope that these states will provide a positive example to New York and its legislators. It’s unlikely to happen in the short term… But I do think what’s going on in Massachusetts, it helps knock down the stigma… I think it’s inevitable. It’s just a matter of time. The move to add chronic pain to the list of qualifying conditions is the latest change that allows for expanded use and guidance of cannabis. Just last month, the department allowed nurse practitioners to prescribe the substance. More changes may be coming: The state is debating whether to increase the number of companies that may be certified to grow and distribute the substance. Despite the optimism, however, many activists and observers maintain that there is a limited amount that can be done on the state level until cannabis is reclassified at the state level. Such a move would open the door to greater research into cannabis’ efficacy and would indicate that cannabis proprietors would not face legal action for complying with state law.